Spring has really warmed up here where I live in CA. hitting record temperatures already. Does this indicate a hot summer is coming? This mama doesn’t take the heat well. That is unless I’m dipped in a pool, sitting next to the ocean or in the comfort of an air conditioned area sipping on something cold like today’s homemade smoothie recipe; Triple Berry Delight. Another thing that seems to happen when it heats up is the lack of appetite for eating. We break out the salads, we love gazpacho, cold pizza and our smoothies! The family that blends together stays healthy together. Now, you may here me break out singing it’s all about the blender, the blender, the blender. That is until you break it! There is nothing more frustrating than having a glass blender carafe then breaking it. Just when I was getting ready to blend my favorite smoothie I broke it. But, my dismay didn’t last long. I headed to grab a deal on a new blender and return to my cool down bliss! 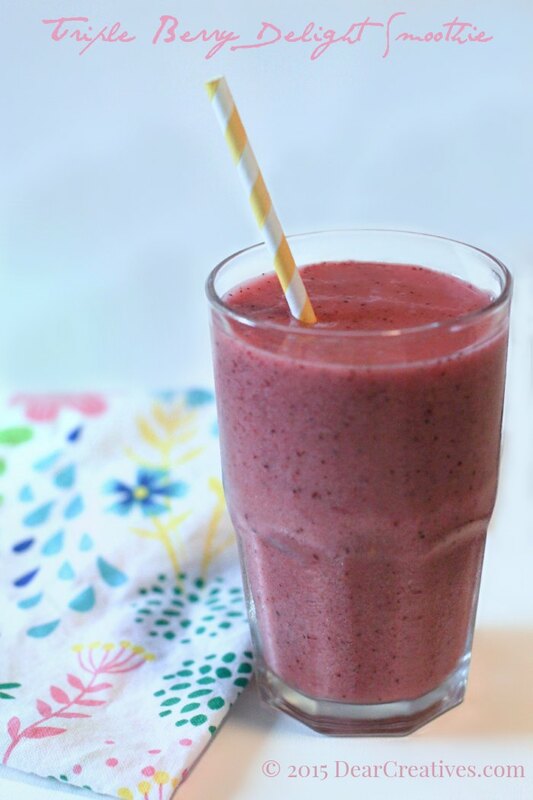 Delicious triple berry homemade smoothie recipe with black berries, strawberries, and blueberries. A great way to start the day or a healthy snack! by Penney Lane. You really don’t need much to make the perfect smoothie’s at home. A good blender, ice, fresh fruits and a grocery item or two. This is the absolute most yummy recipe I’ve made in a long time. I love getting our fresh fruits and veggies from the farmers markets.What is awesome about living in CA. is our growing season is so long. We literally are spoiled being able to head downtown or the park and just down the street at least two or three times a week to the outdoor farmers markets. My favorite farmers market is on Saturdays in a park nearby where my daughter goes to school about fifteen minutes from us. We can take our bags stroll about grabbing fresh fruits, veggies and other things to have during the week. Hopefully you have a good farmers market nearby or just grab your supplies from your local store either way the homemade smoothie recipe is easy and delicious. Take all the above for one smoothie. If your blender is large enough you maybe able to do two at a time. Double amounts shown above for two. Blend on your smoothie setting or liquefy setting pulsing if needed. No added sugars or honey is needed. If you don’t use dairy substitute with a half of banana to get the sweetness and smooth texture.You can also use frozen when the fruits aren’t in season they work just as well! Remember if you don’t have these fruits in season frozen will work perfectly fine too. As they are picked at the height of the season, then frozen! 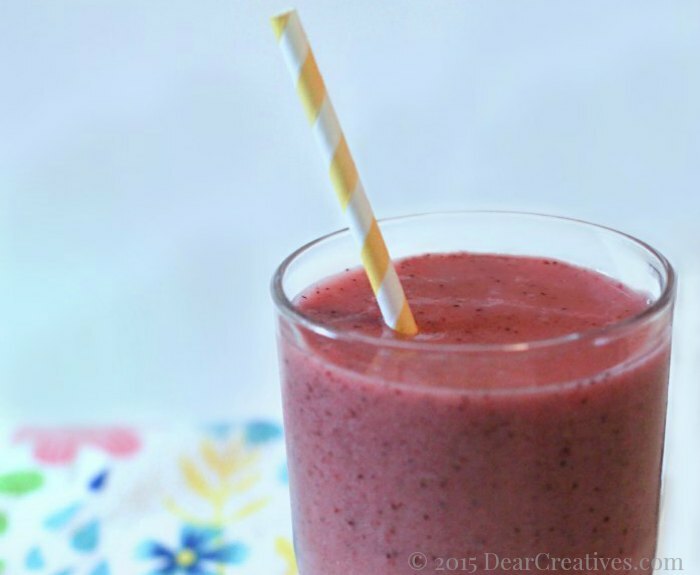 Have you blended up a homemade smoothie yet? What’s your favorite smoothie flavor?